Roald Dahl's classic children's book comes to the West End stage. The new Matildas start performances on March 14. 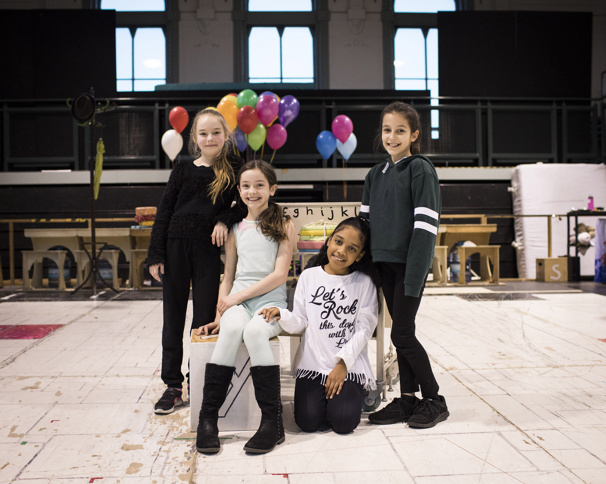 Lilian Hardy, Emma Moore and Éva-Marie Saffrey are set to join Abbie Vena in London's Matilda beginning on March 14; as with other productions of the Tim Minchin-scored musical, the four will alternate playing the titular role at the Cambridge Theatre. Matilda's current cast includes Michael Begley as Mr Wormwood, Miria Parvin as Miss Honey and Rebecca Thornhill who plays Mrs Wormwood. The rest of the adult cast features Richard Astbury, Oliver Brooks, Collette Coleman, Maria Graciano, Elliot Harper, Daniel Hope, Daniel Ioannou, Kate Kenrick, Katie Lee, Fergal McGoff, Tom Muggeridge, Matthew Rowland, Matthew Serafini, Biancha Szynal, Laura Tyrer and Sharlene Whyte. The pint-sized powerhouses that make up Matilda's child cast include Mylo Burton-Mays, Kira Caple, Jessica Chalmers, Hari Coles, Archie Durrant, Charlotte Fallart, Regan Garcia, Ptolemy Gidney, Aiyana Goodfellow, Sebastian Harry, Angelina Li, Tilda Marriage Massey, Ben Robinson, Tori Louise Ryan, Kacy O’Sullivan, Nicholas Antoniou-Tibbitts, Max Brophy, Olivia Calladine-Smith, Elena Cervesi, Miles Harcombe, Michael Hawkins, Sam Jennings, Craig Noakes, Tia Palamathanan and Scarlett Wennink. What better way to settle in to a new stage gig than with a trapeze lesson? Watch the video below to see Matilda's fab four learn the trapeze from Miss Trunchbull (a.k.a. Craige Els). They also talk about their favorite junk food (chips, obvi) and more!